Drawing on his deep and profound knowledge of metaphysical laws including the Law of Attraction and the Law of Gestation, quantum physics, and our increasing understanding of energy fields, not to mention his work with thousands of people who want to bring change into their lives and the world, Alan Seale has written a book that can change the world. 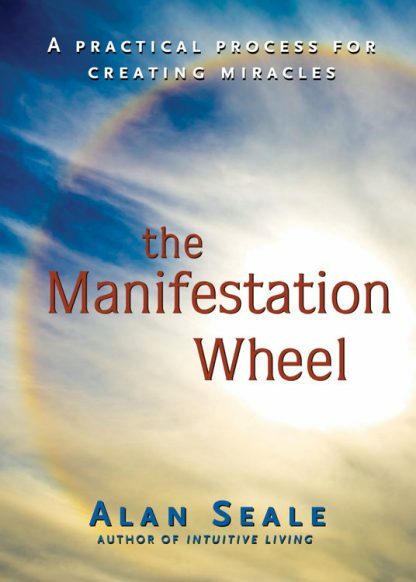 The Manifestation Wheel is a powerful system that can be used by individuals or organizations for turning ideas into results, dreams into reality. It is a practical, step-by-step model for shifting global consciousness one person and one organization at a time. There are eight houses on the Manifestation Wheel: intention, peace, energy, guidance, empowerment, action, surrender, legacy. Seale teaches a process that allows readers to tap into their own intuition and the collective consciousness. For example, intention - where we start - takes us beyond "I want" to "what wants to happen." When those two are in alignment amazing things can happen. The more our thoughts, beliefs, decisions and actions are in alignment the clearer our physical manifestation will be. We can use the process to find a new job or a new love. As we surrender to the process and manifest our legacy - even in those very personal projects - we are becoming more conscious of and contributing to the positive evolution of mass consciousness.